TS ICET Hall Ticket 2018 has announced on 7th May 2018 by the Telangana State Council of Higher Education (TSCHE). The TSCHE conducts the Telangana Integrated Common Entrance Test (TS ICET) for the MBA and MCA Courses for the applicable candidates. To get the TS ICET Hall Ticket applicants need the login details like application number and date of birth to download. The other information of TS ICET Hall Ticket 2018 is given below. The Telangana Integrated Common Entrance Test (TS ICET) is a state level exam which is organized by the Kakatiya University, Warangal on behalf of Telangana State Council of Higher Education, Hyderabad. For the ICET exam, the TS ICET Hall Ticket will be declared 10 days before the exam. The application process of the ICET will be starting in the 3rd week of February 2018 and the application process will be closed in the 2nd week of March 2018. The applicants have to download the TS ICET Admit Card or hall ticket through the online mode only. The Telangana Integrated Common Entrance Test will be conducted on 23rd May 2018 & 24th May 2018. After the examination process, the answer key and result will be declared on 10th June 2018. Then the counseling will begin in the 1st week of July 2018 and the final result will be announced in the 2nd week of July 2018. For the exact dates of the application process, hall ticket release date, answer key date and result date will be updated soon on this page. The TS ICET Hall Ticket will be available soon to download for the candidates who will successfully be registered before the last date of the application process. Applicants have to download before 1 week to the examination date. We will provide the direct download link to this article when the organization released the hall ticket. 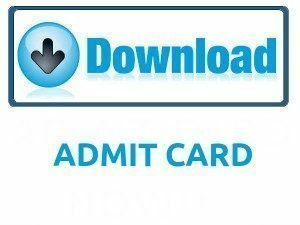 Use the login details to download the admit card or hall ticket. After downloading the TS ICET Hall Ticket or admit card verify the given information in it. If there are any mistakes in the admit card immediately go to the organization and rectify the mistakes without neglecting otherwise students will face the problems in the examination hall. The exam schedule will be specified in the official notification. The applicants can search the results of the examination on our website SarkariRecruitment.com. Candidates can also check the All India exams admit cards for various organizations examinations on our website. Applicants must have to attend the examination center before twenty minutes to the exam and see the instructions once before writing the exam. Without the admit card or hall ticket the examination board will not allow the aspirants to write the exam. The admit card has the information about the contender and exam-like applicant name, registration number, date of birth etc. With the help of admit card, the examination board can easily find out the fake candidates in the examination center. Along with the admit card or call letter candidates should carry identity like college id, photograph etc for the security purpose at the examination center. The more details regarding counseling and admission will be made available on official website of TSCHE. The more information about the Telangana Integrated Common Entrance Test (TS ICET) like information on hall ticket, required documents for the exam, and the steps to download the hall ticket are mentioned clearly on this article. The hall ticket is an important document in the examination process. Without the admit card the applicants will not allow writing the examination. The admit card or hall ticket has a below information about the participant and exam. Every candidate must carry any document along with the hall ticket from below given for security reason at the examination center. By using the below steps applicants can easily download the hall ticket from the organization website without any confusion. So each and every candidate can follow the steps to download the hall ticket. Go to the official website of Telangana State Council of Higher Education icet.tsche.ac.in. Search for the TS ICET Hall Ticket for the entrance exam. Click on the TS ICET Hall Ticket download link. TS ICET Hall Ticket will appear on the screen. Download the TS ICET Hall Ticket. Submit TS ICET Hall Ticket at the examination hall with any identity. Through the above article. we specified the information of TS ICET Hall Ticket for the Telangana Integrated Common Entrance Test. Hope this page useful for the applicants who will apply for the entrance exam. Leave a comment on below comment box for clarifications in this article. Visit our website sarkarirecruitment.com for more updates on recruitment, syllabus, previous papers, answer key’s, result etc. Thank you.